After working in sales from an early age, recruitment became an obvious choice. I have always thrived in a targets based role, from working for my family sales business to a local phone shop and then an investment brokerage. After two years working in ‘military’ conditions, I wanted to move into an area that made me not only enjoy work, but also made me want to wake up early every morning. Tech recruitment was an obvious choice as it is a market that challenges you to stand out from the crowd, which is where I thrive. The fact that I could work with some of the most up and coming businesses in the UK and achieve my personal goals was a no brainer. PEOPLE, NETWORKING & MONEY! The reason I wake up at 6am every morning is because I know I can change my whole month in a day. It can take just one phone call in this role to not only change your whole month, but your whole year. That is why there is such a strong appeal to recruitment for me. A role where you are the master of your own destiny. Another aspect is the networking side of things. The people you get to meet that come from all different walks of life make this interesting. The anticipation of meeting a new client or new candidate that could open up doors of opportunity is one more reason this role is so rewarding. I don’t actually like the word job. This is something which is far more enjoyable than just a job. The rewards you receive for the work that you put in on a daily basis are never ending. Whether it be a Directors Lunch in Mayfair or winning an award across the whole business, I have been rewarded for my hard work since day one. The fact that you are in control of your own success is what makes me love this industry. What made you choose Mortimer Spinks? Mortimer Spinks stood out for me as a business because what we do is completely different to any other recruitment company. They are ahead of the game when it comes to Technology and Innovation, and it is all about being different and standing out from a crowd. THAT is how you are successful in this business. Mortimer Spinks explores areas which go beyond just recruitment, and are more consultative in the way they do things. It isn’t only clients that want to see this, but also candidates, and candidates fuel this market. Having that competitive edge over any other business allows me to excel at my full potential, which is what Mortimer Spinks has given me the platform to do. Just over a year in, what challenges are you currently facing? The biggest challenge is to consistently be different. It’s easy to fall into a routine that any other recruiter would do, or just go through the motions. What gives you that authenticity is being different. 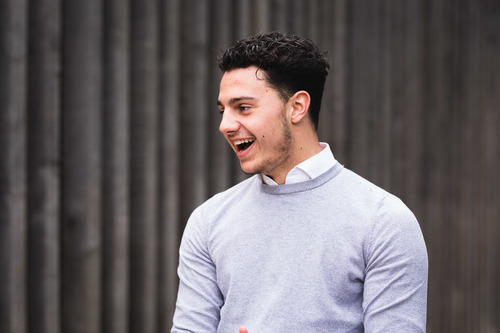 Providing a service that ensures your client is thinking “I need Dillon for this”, and standing out from the other 15,000+ recruitment companies in London.